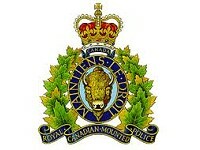 On June 7, 2016, around 5:00 pm, Swan River RCMP officers were called after a resident found what he believed to be the remains of a body on the shoreline of Lake Winnipegosis in the area of Shoal River. Officers attended the location and confirmed the presence of a deceased person. The body was transported to Winnipeg for further examination and an autopsy. “We are not in a position to confirm the identity of the remains at this time, pending further forensic examination and other investigative steps to ensure certainty.” said Sgt. Bert Paquet of the Manitoba RCMP. No further details will be released until a positive identification has been made.